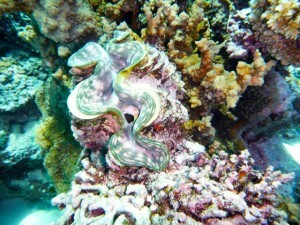 Coral Reef Management – who knows best? As the Coral Reef controversy surrounding dredging and the Great Barrier Reef continues, Island Spirit thought it would be a nice idea to look at some different coral reef management methods to see who is trying to protect what, how, and what is proving most effective. We were lucky enough to take part in the annual ‘Reef Check’ held by Waitabu Marine Park of Taveuni, who declared the area a no fishing ground in 1998 which means today the region is a healthy hot bed of marine activity. Fish stocks within the park are at an all-time high, meaning that the waters surrounding the park are also enjoying an increase. At the end of last month, 8 teams of community members and marine specialists surveyed the area, counting the number of giant clams, sea cucumbers, and sea urchins to monitor the health of the reef. This community based initiative is a bottom-up form of management, seems to tick many boxes as systems go; it’s cheap, sustainable, educational, and let’s face it – just good fun! 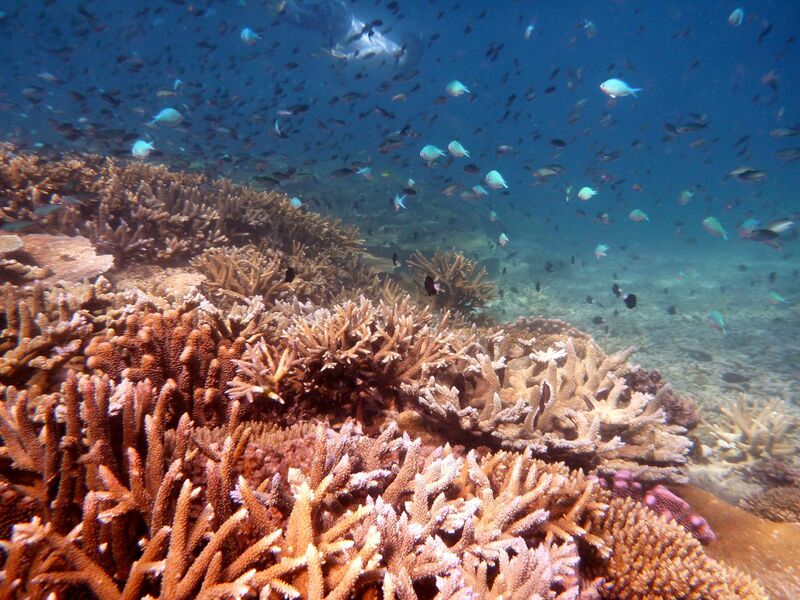 Other initiatives are more economics based such as in Indonesia, where a new project has just received significant funding of $62m from the Coral Reef Rehabilitation and Management Program for the Coral Triangle Initiative of the World Bank. This is a top down model of management. This kind of intense funding is of use once a reef is already experiencing dramatic problems as a form of rehabilitation as opposed to conservation. In Fiji we are lucky enough that this is not yet the case. In Indonesia, two-thirds or reefs are at risk due to destructive fishing practices, and so the cash injection will also facilitate community awareness. One thing is clear, if dredging is to continue, then it is of paramount importance that conservation efforts (from above and below) are cranked up to limit any damage that could occur as a result and as a result of changing natural environmental conditions in the area. Greenpeace has dubbed the assessments made throughout the legislation process as ‘substandard’ which has prompted further investigation from a number of actors concerned which can only be a good thing. It is about spreading awareness, and engaging local communities to protect their assets. At Island Spirit we believe the best way to protect anything is to make its health more profitable than its death. This is easy in the case of coral reefs, especially in Fiji as tourists are willing to pay to experience the thriving marine life. Initiatives must come from the heart, but be lead from the head, and first and foremost be a bottom up system, with those above maybe reaching out a helping hand.